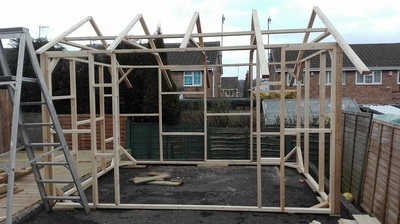 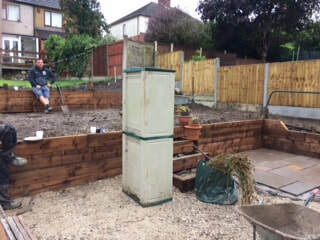 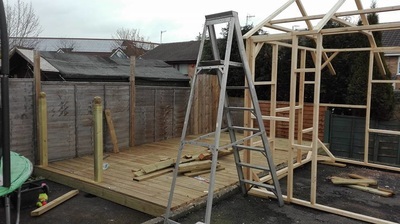 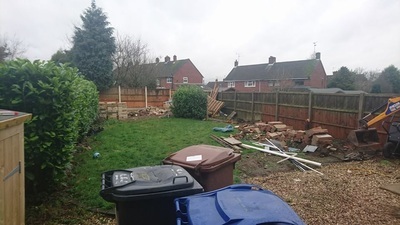 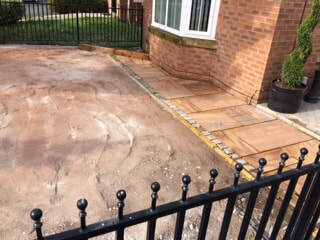 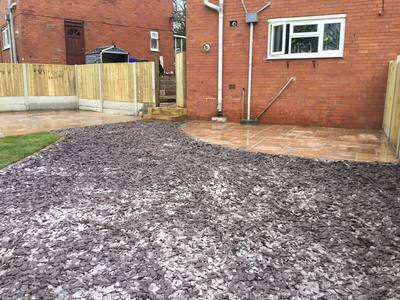 This project took place in mid 2017 just off Furlong Road, Tunstall. 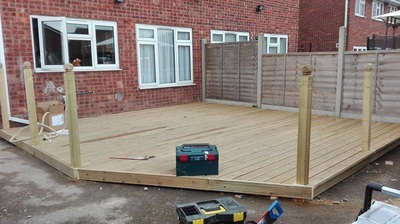 On this project our customers were pretty sure of what they wanted before we had a consultation. 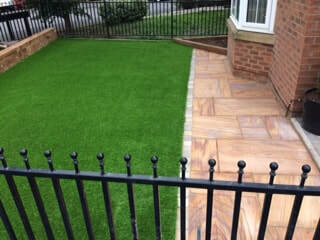 Indian stone path, sleeper walls and artificial grass. 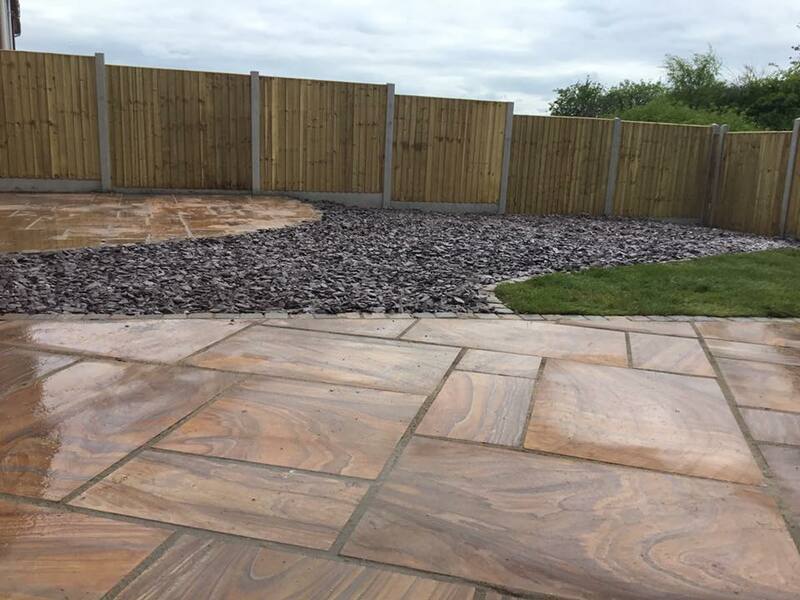 After a quotation and a discussion they decided to go for the Rainbow sandstone to create the path and they are delighted that they did! 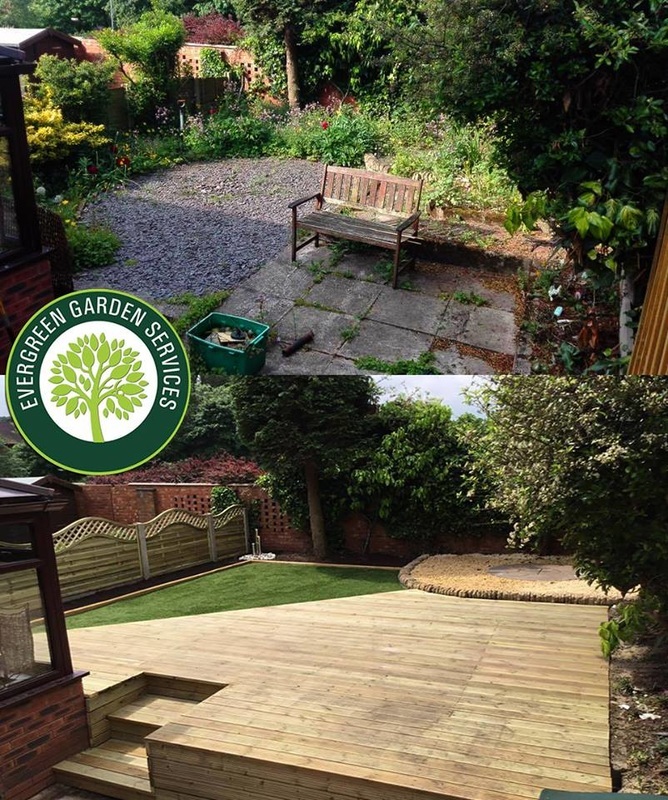 Below is another garden that we at Evergreen Garden Services have created for one of our customers. 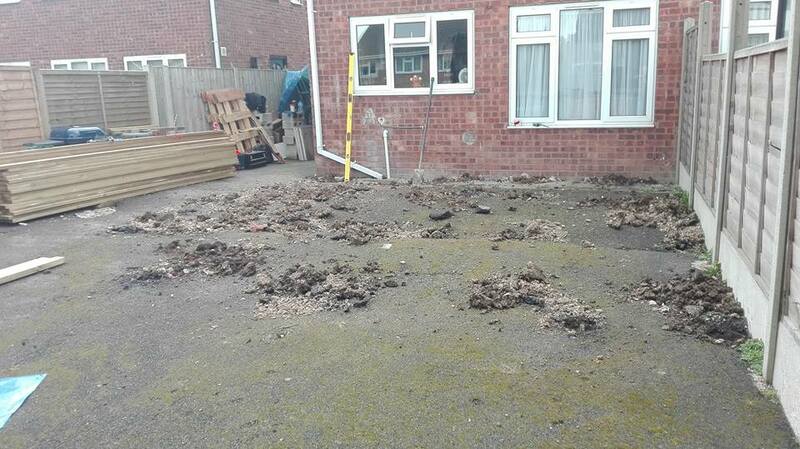 The job took place just off High Lane in Burslem. 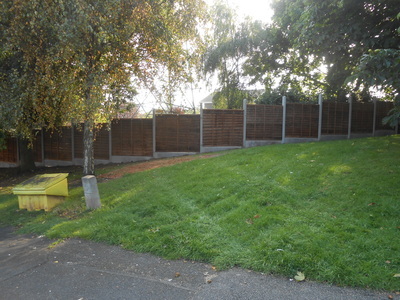 It was completed in September 2017. 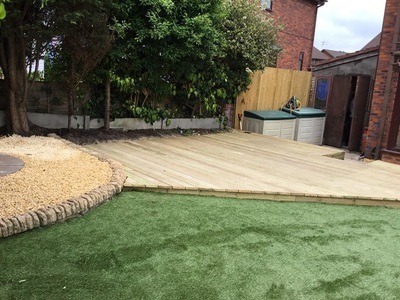 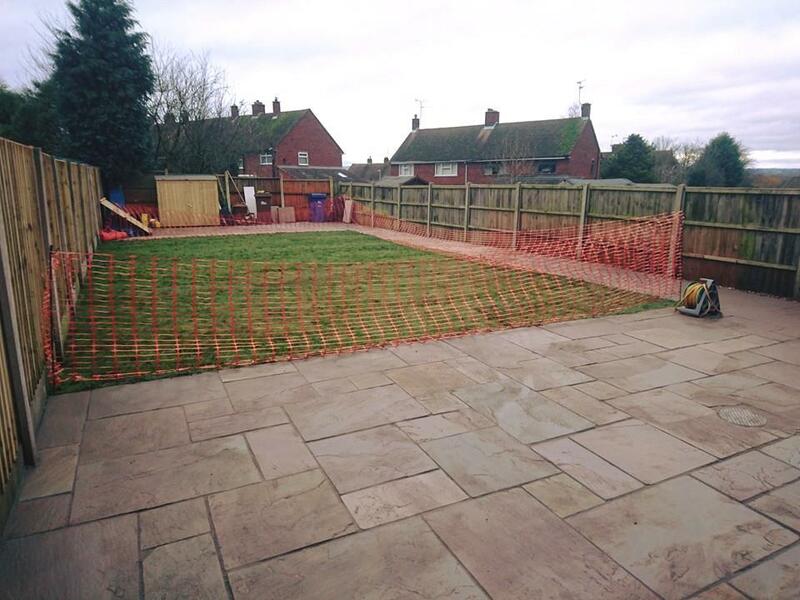 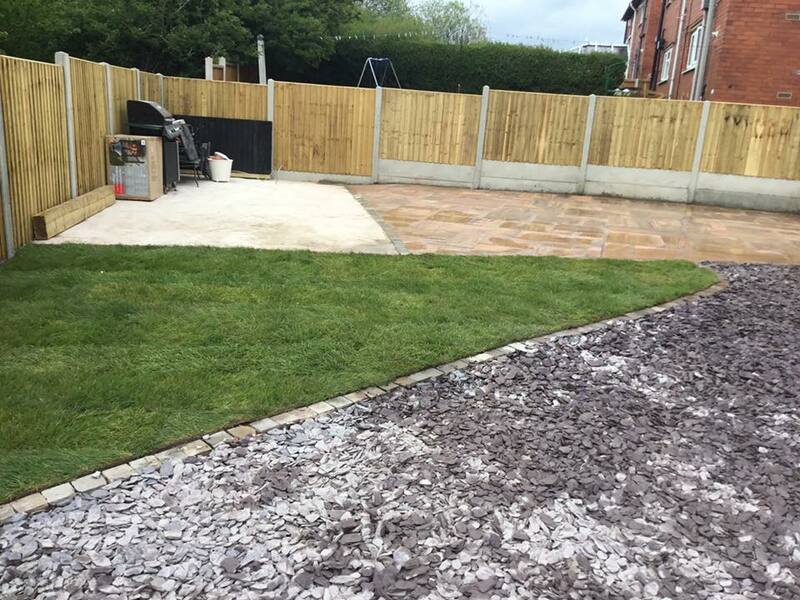 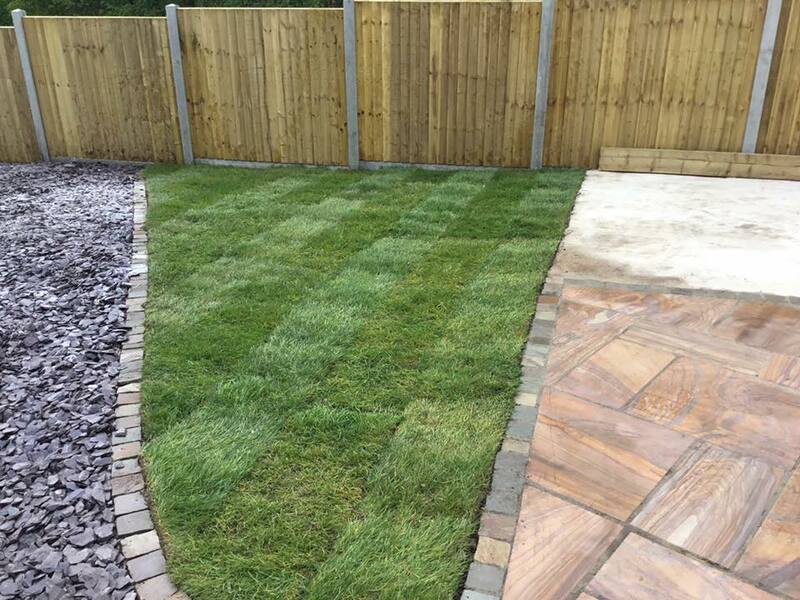 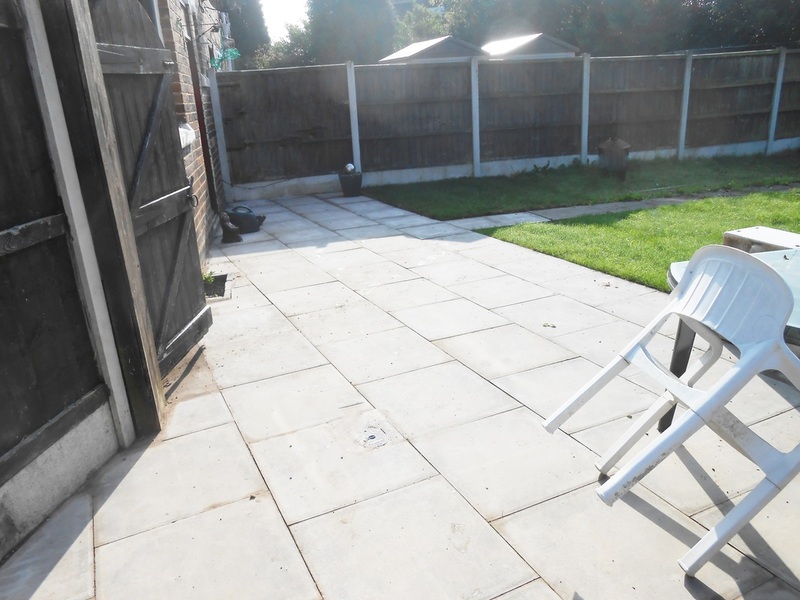 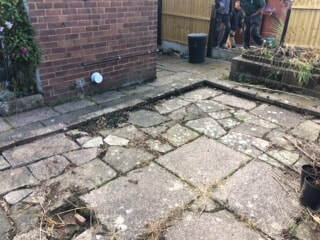 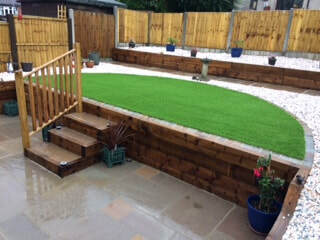 When we arrived our customer was a little unsure of what they wanted other than a low maintenance garden, we had several meetings with them and there family to discuss the requirements, materials, budget and design. 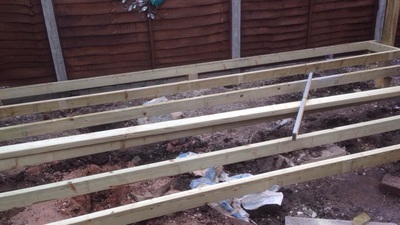 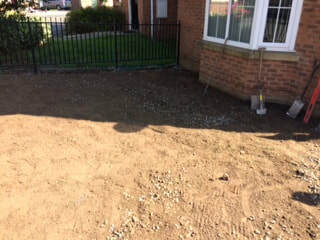 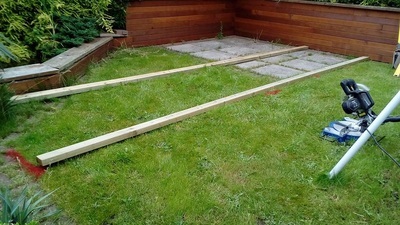 We used new sleepers to create new retaining walls, these are secured in place using coach bolts fastened to 4"x4" wooden treated posted set a 2.5' in the ground. 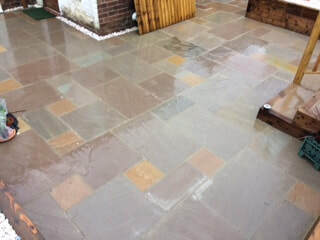 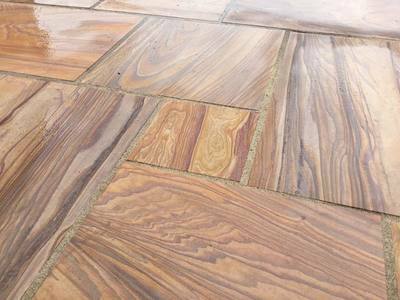 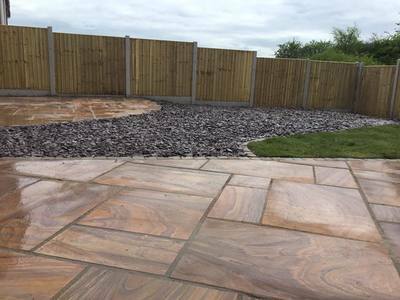 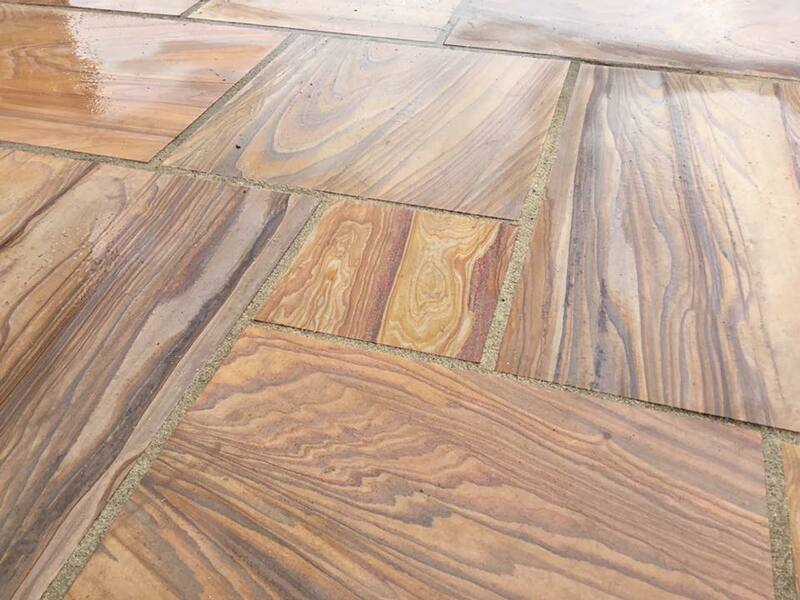 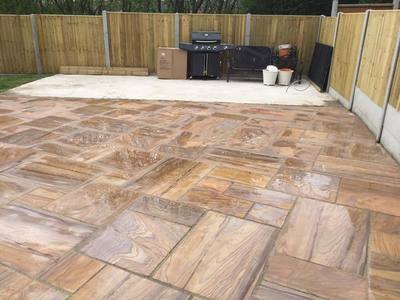 Buff blend Indian stone is used to make the patio areas which are layed on a soild bed of cement and concrete sand wet mix with a sub base of Type 1 MOT, the jointing is a mushroom resin based product. 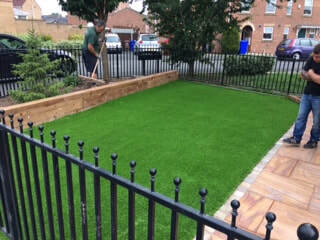 The artificial grass is called Trade 2, the handrail in made from solid Oak and finally the gravel is called Flamingo! 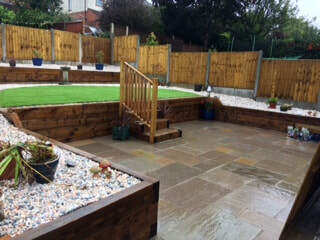 Our customers are delighted with the finish!! 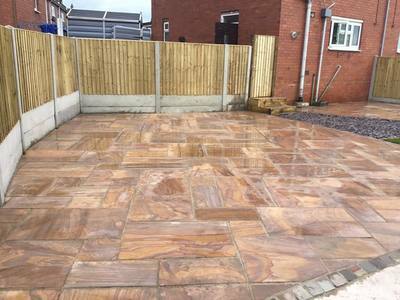 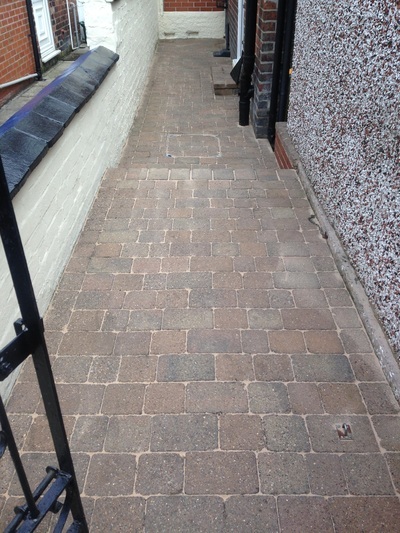 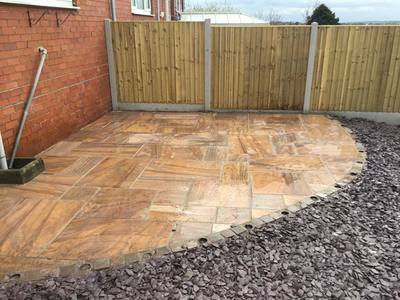 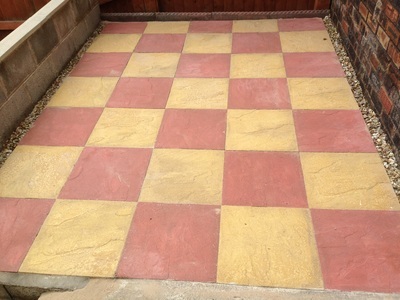 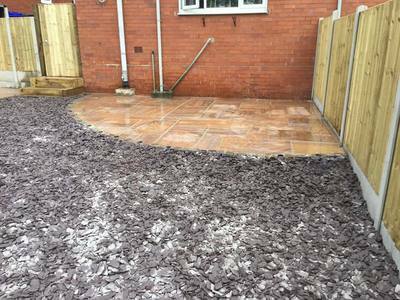 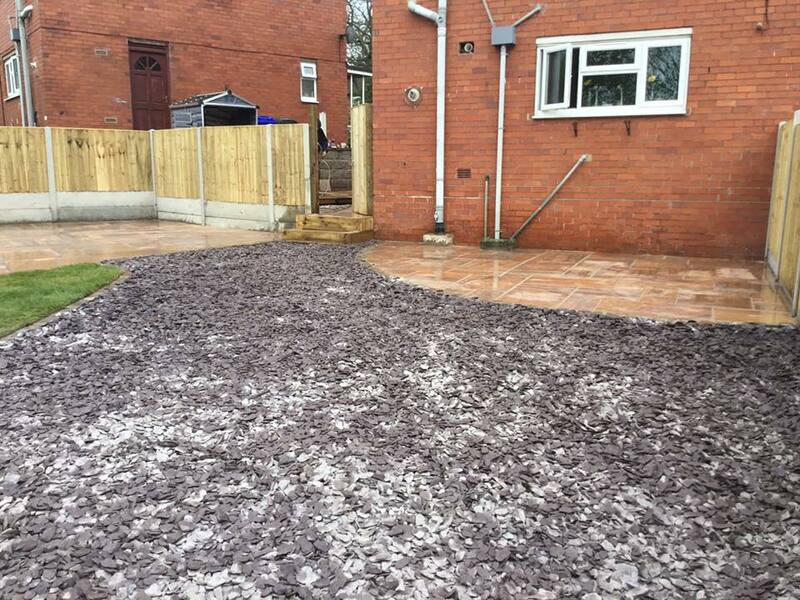 This is a project completed in Porthill, Stoke-on-Trent. This garden is a new space for our customers to relax and entertain with virtually zero maintenance. 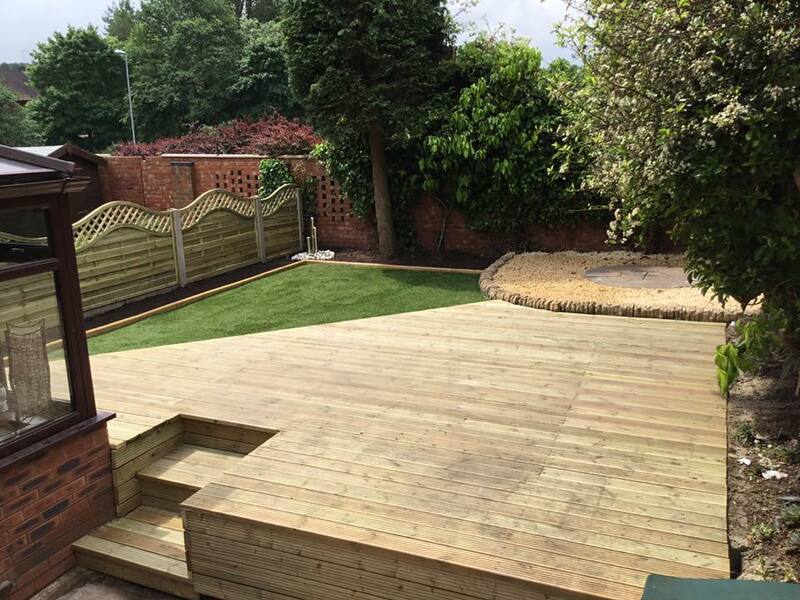 This decking project (02/2016) complete in Clayton, Newcastle-under-Lyme ST5. 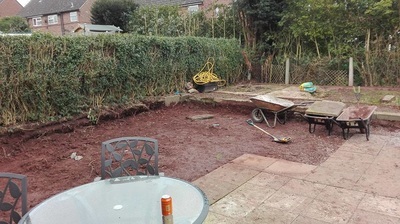 This garden below was from a project the Evergreen garden services did in Uttoxeter, Staffordshire. 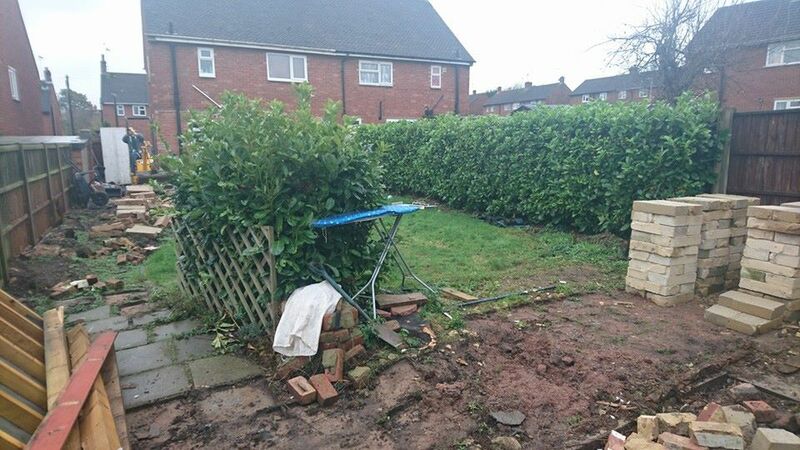 The customers garden was a bit of a mess. 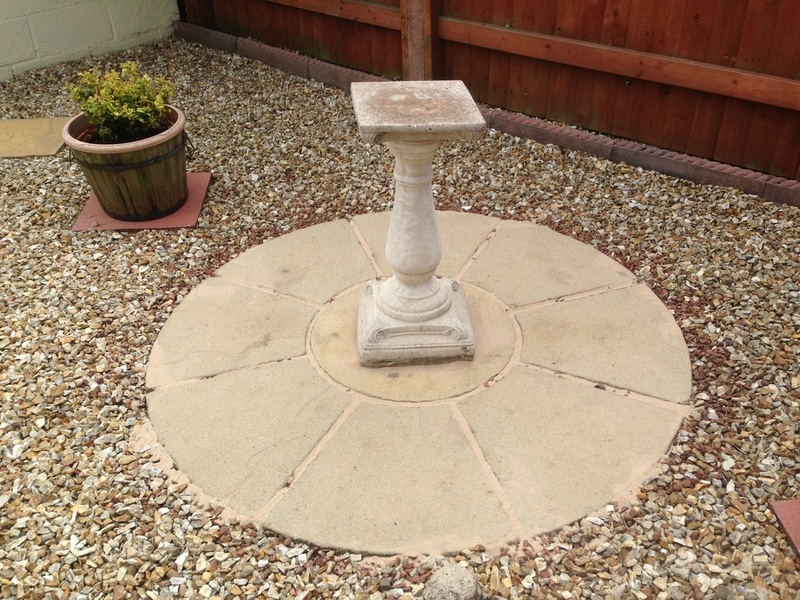 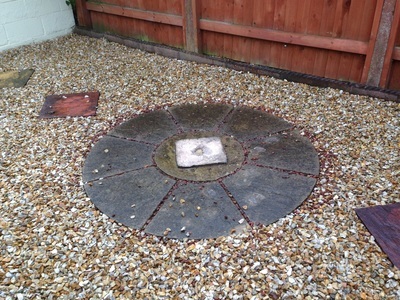 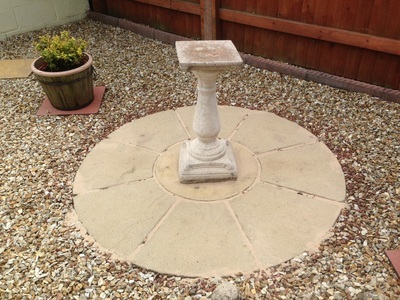 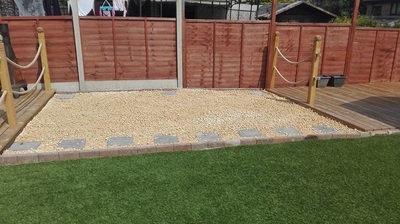 We created a simple low maintenance usable garden space using Indian stone, concrete and turf. 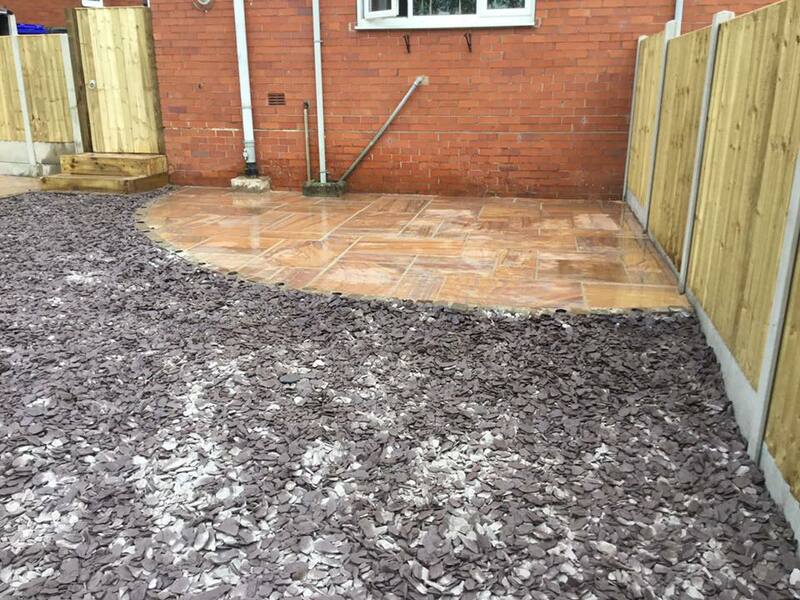 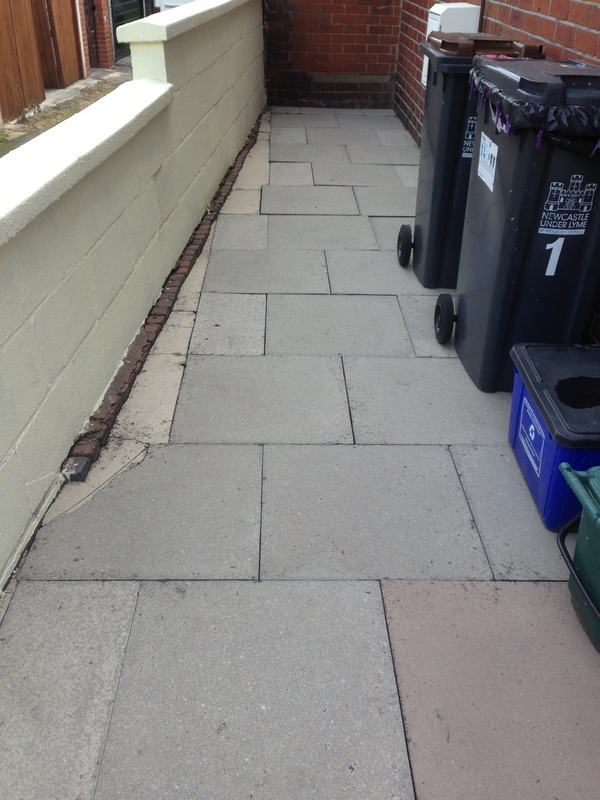 Below is a recent project that we completed in Sandyford, Stoke-on-Trent. 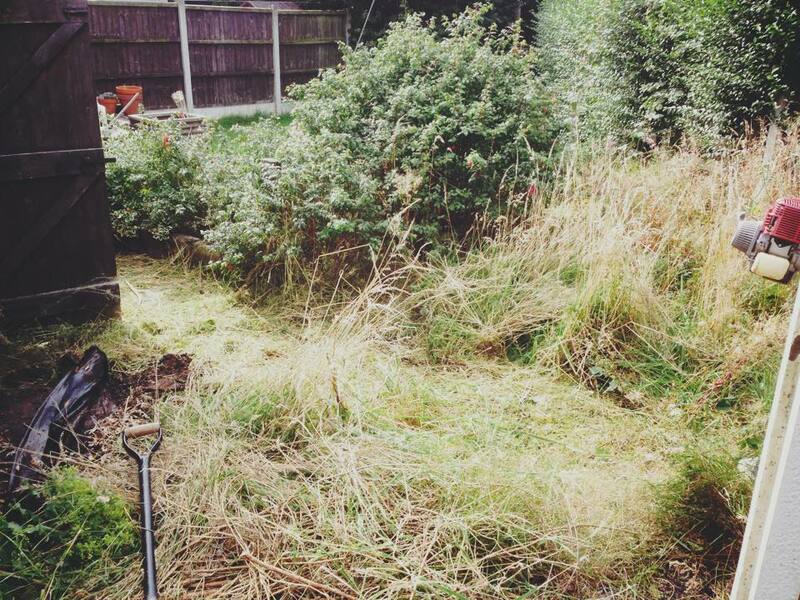 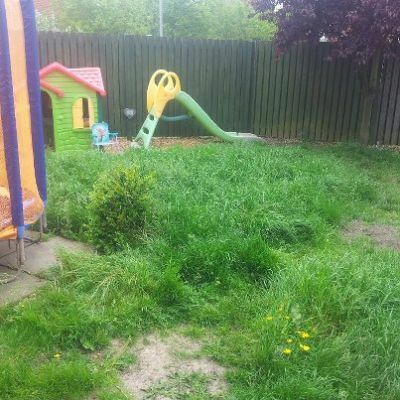 Our customers garden was over grown and neglected. 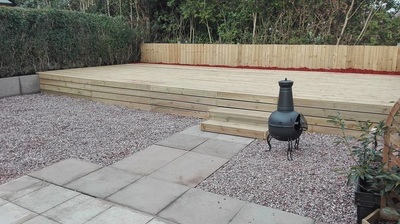 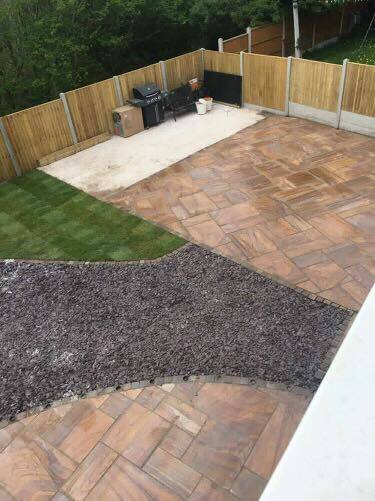 The customer wanted a simple space to be able to enjoy the garden and weather. 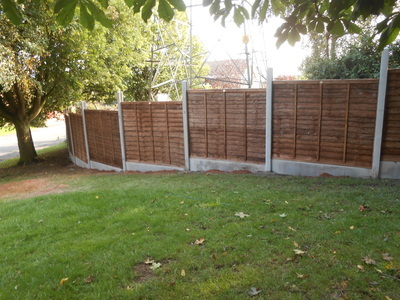 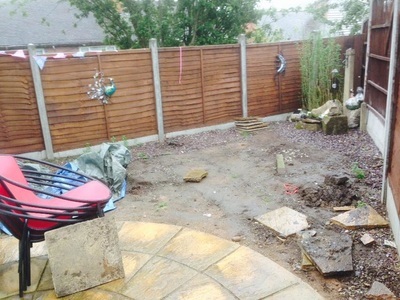 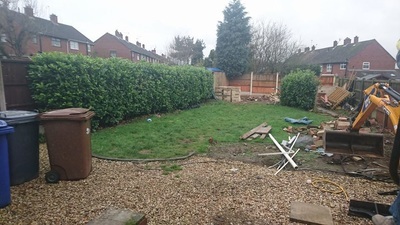 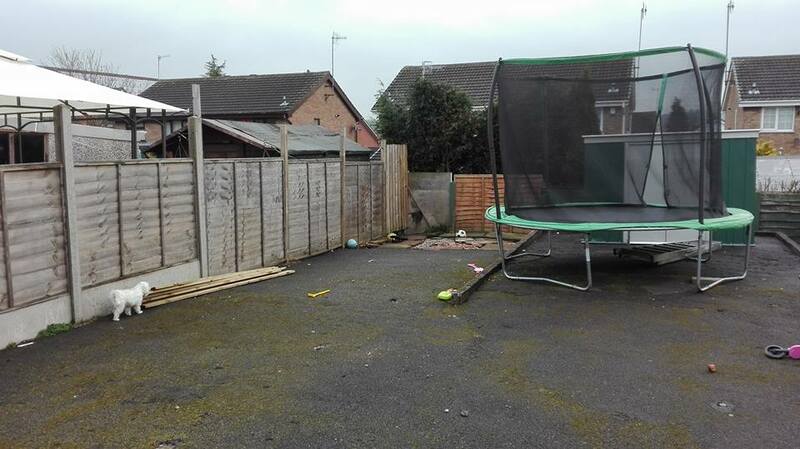 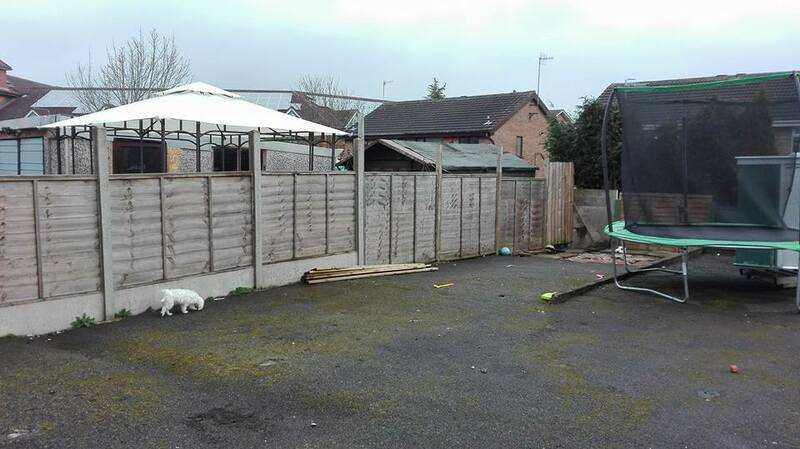 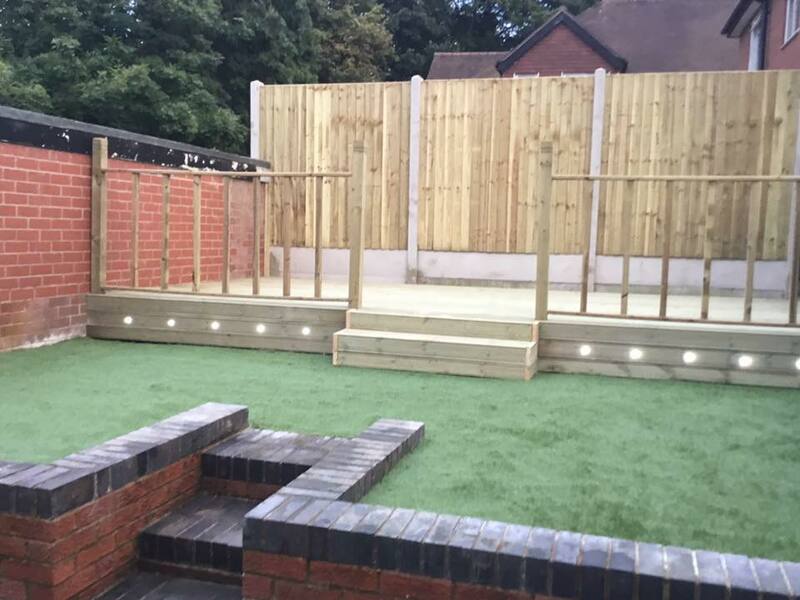 This is a fencing project that we completed in Crewe. 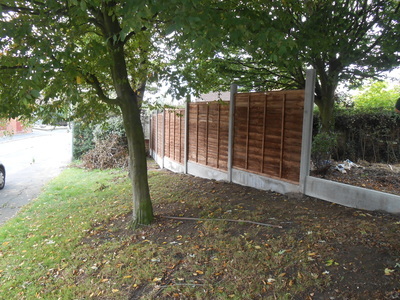 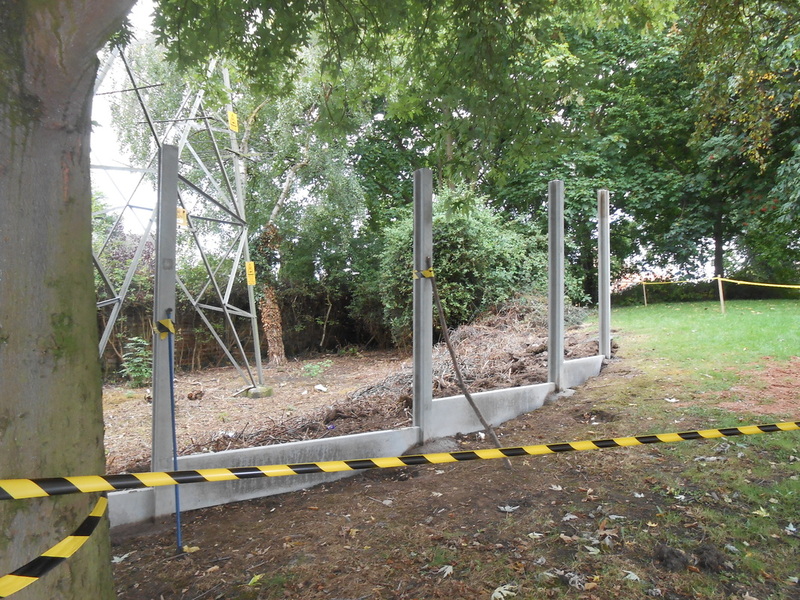 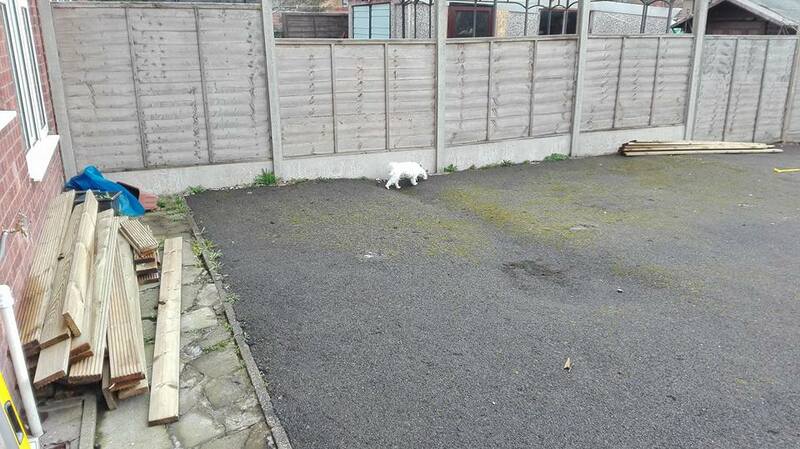 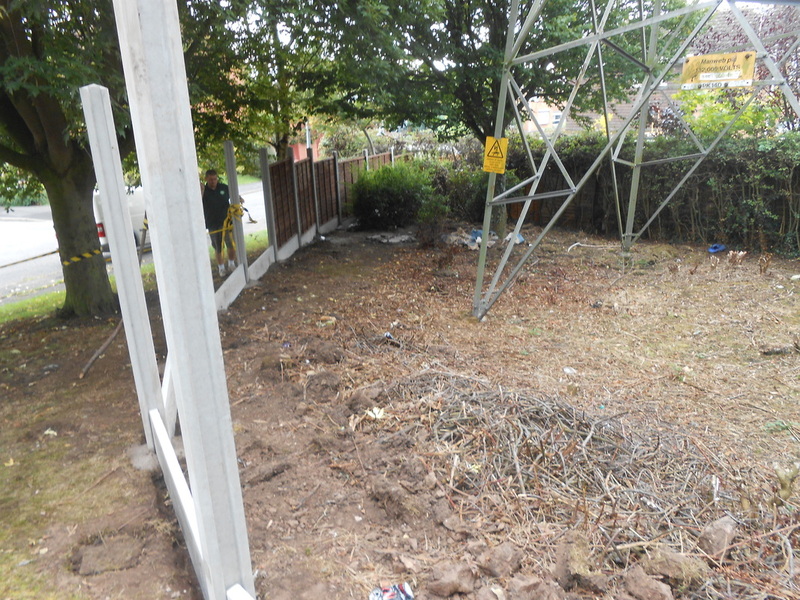 The fence is over 100ft long consisting of 22 panels and gravel boards and 23 concrete posts. 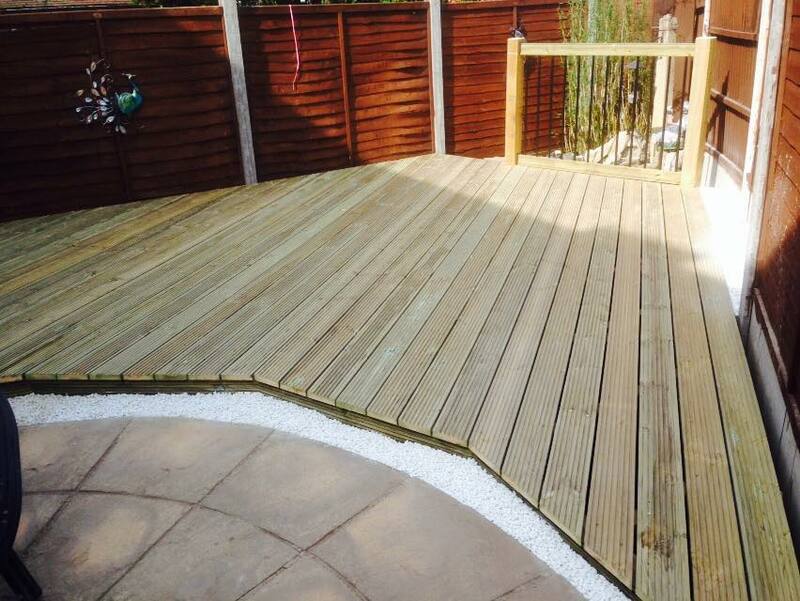 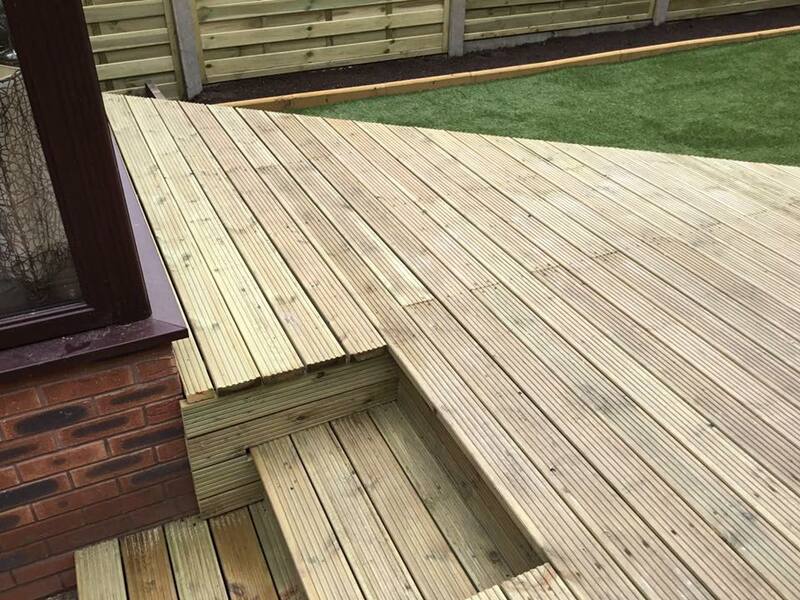 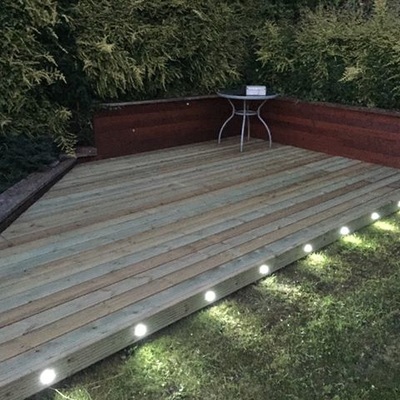 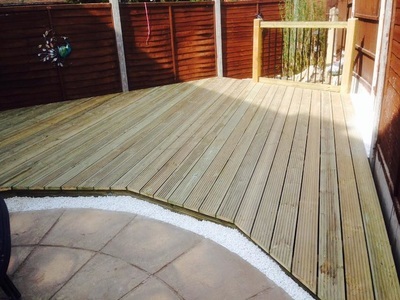 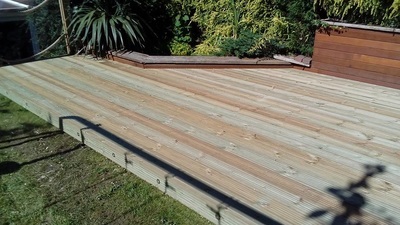 Below is a decking project that we have done is Chell. 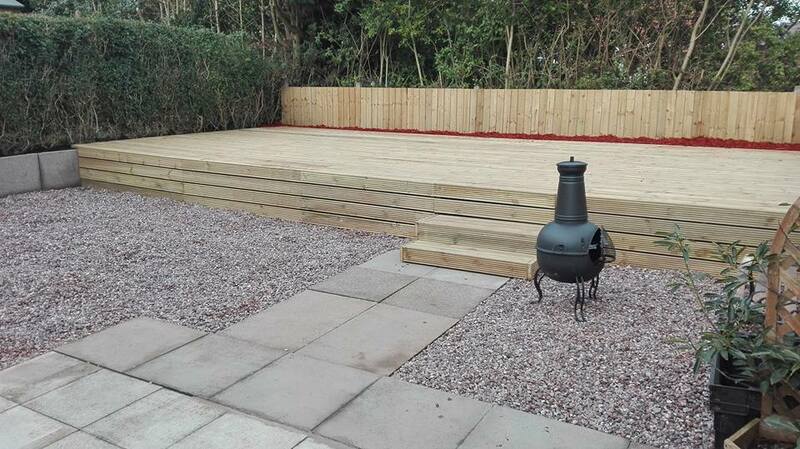 The customer wanted a low maintenance garden with room for a hot tub and to entertain friends and family. 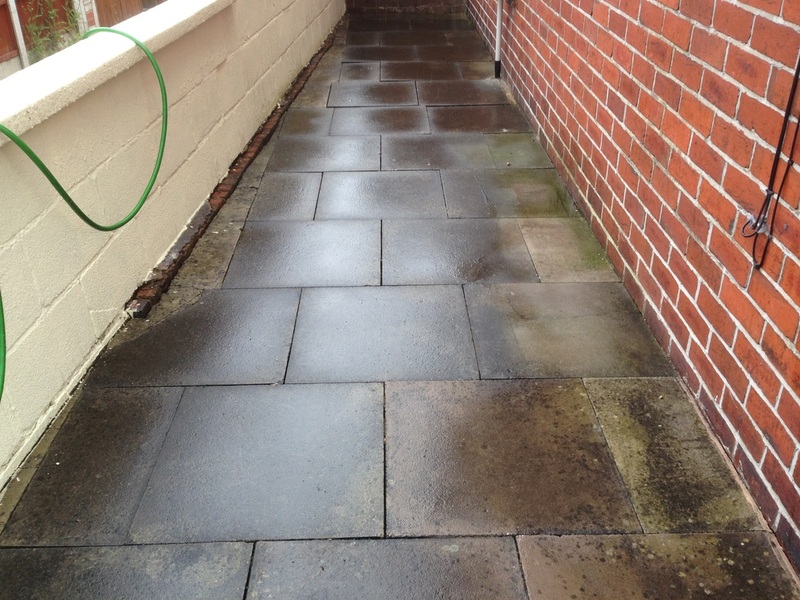 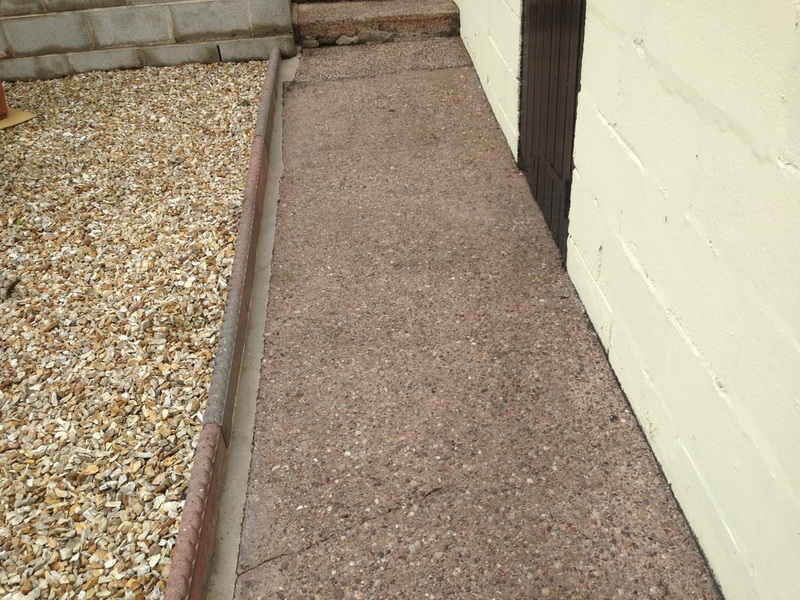 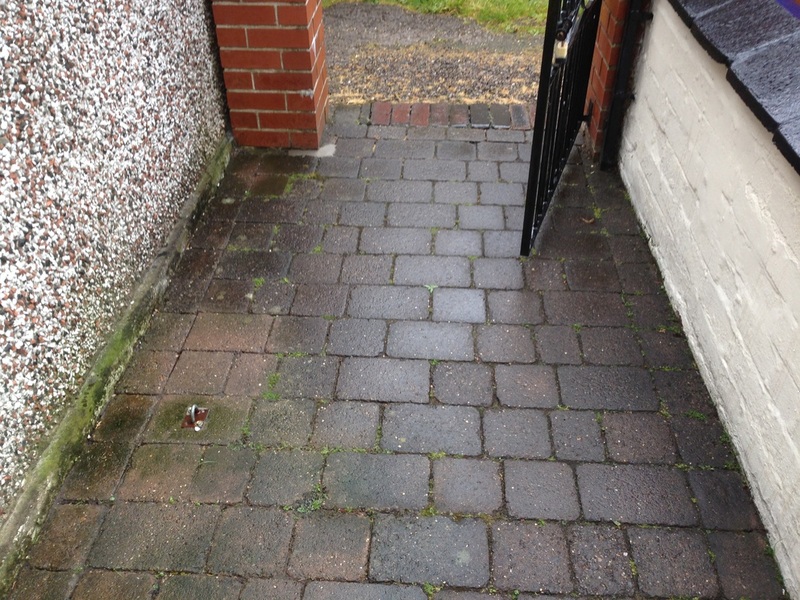 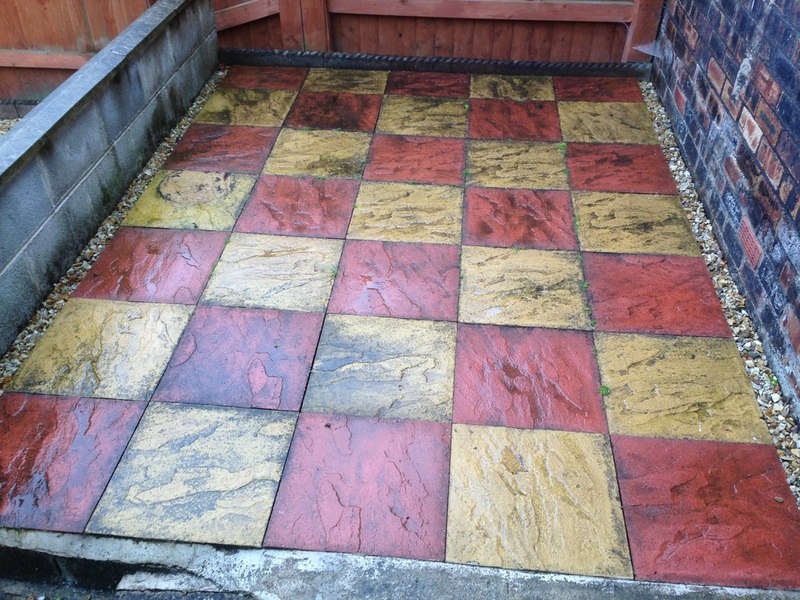 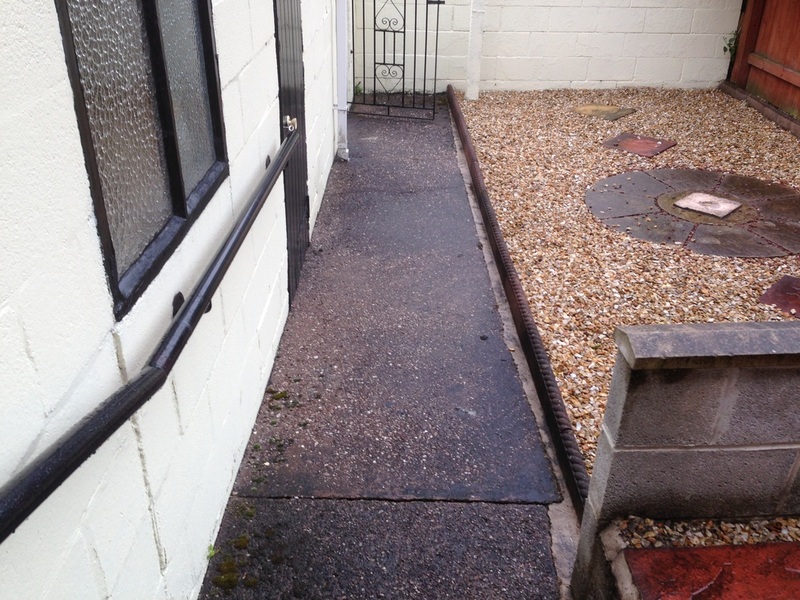 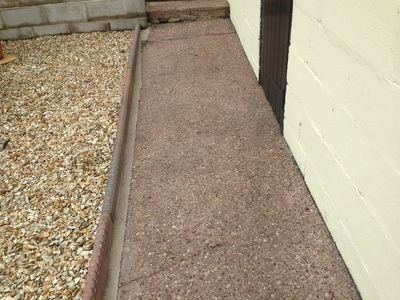 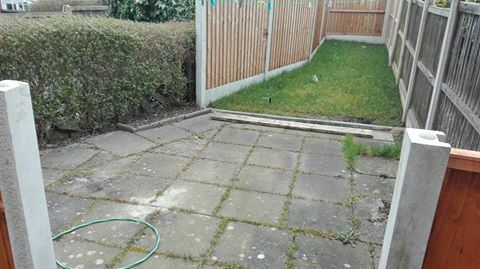 Below is a few pictures of the pressure washing work that we have done. 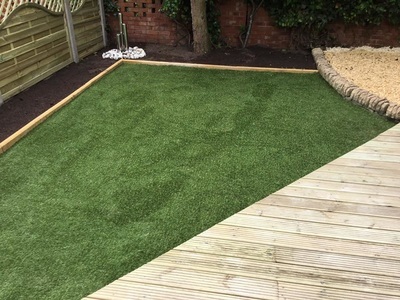 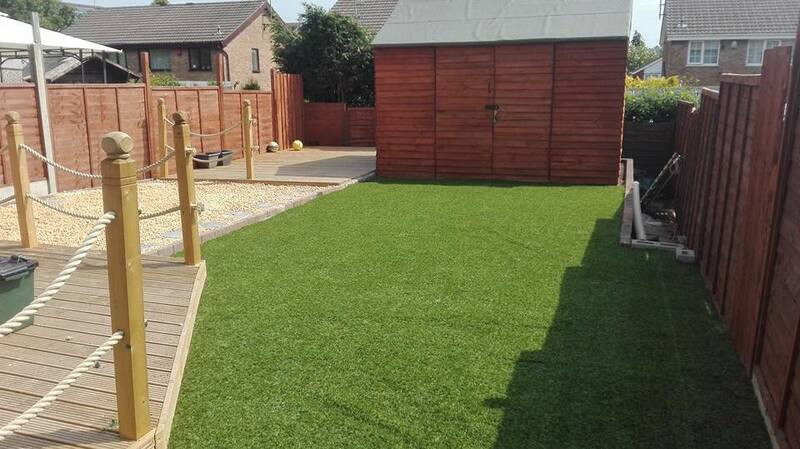 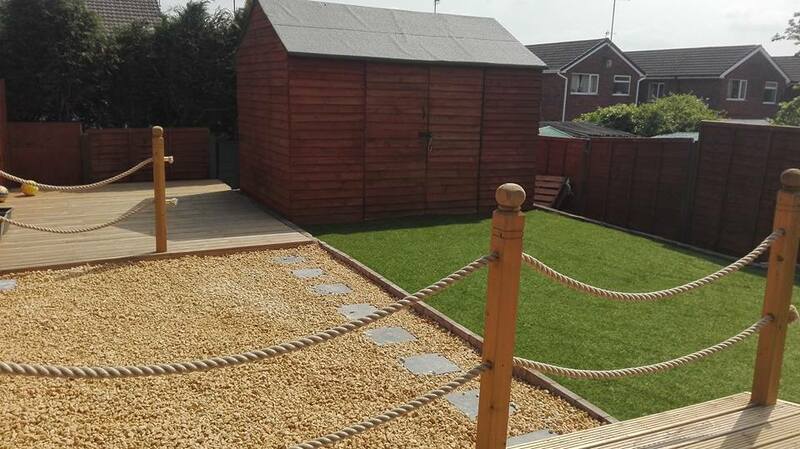 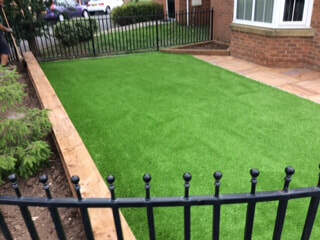 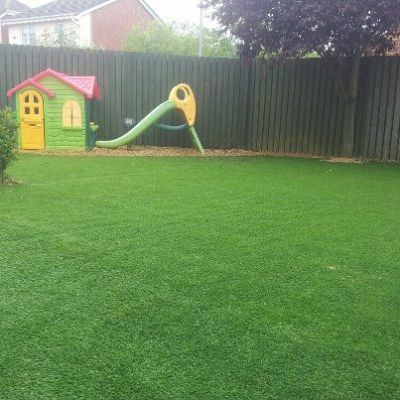 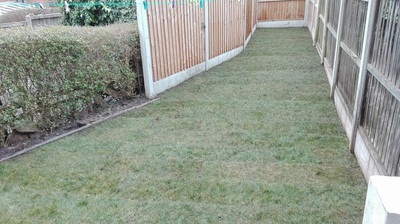 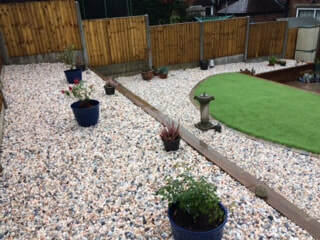 Below is a couple of pictures from a artificial grass installation I did In Crewe, Cheshire. 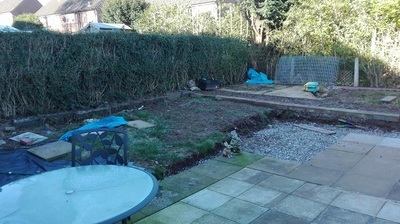 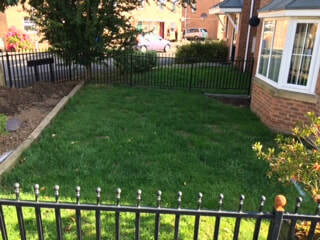 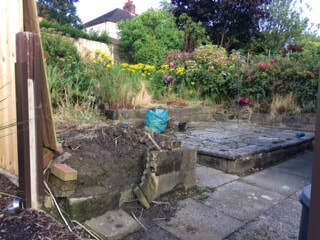 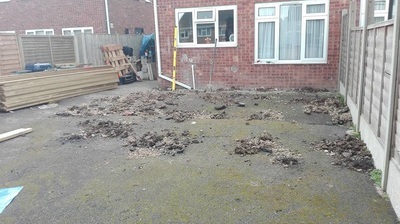 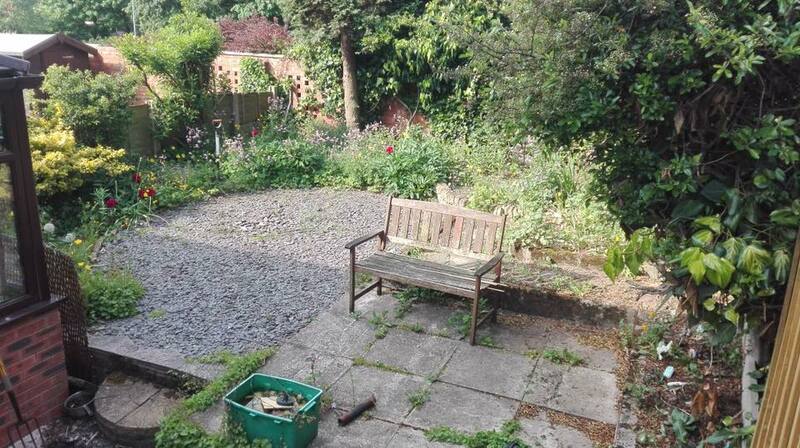 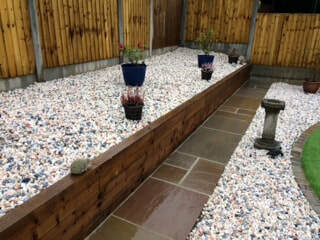 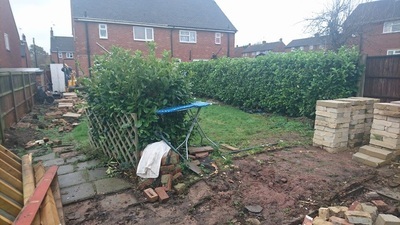 This customer did not have the time to maintain his garden due to having a busy and demanding job. 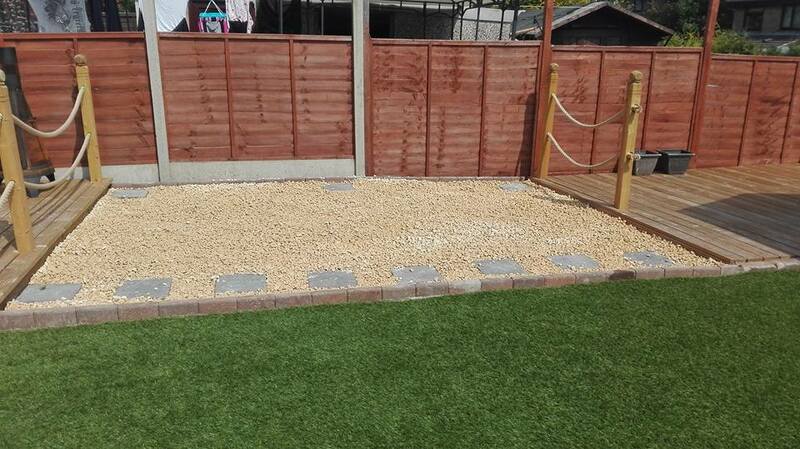 He wanted something low maintenance and pet & child friendly. 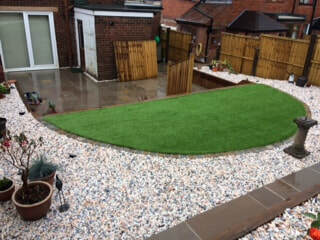 The artificial grass I suggested is hard wearing and very realistic.